MKE has changed significantly since its early years as Butler Airport, located in the northwest corner of Milwaukee County. By 1927 the airport was moved to its current location and commercial flights started. 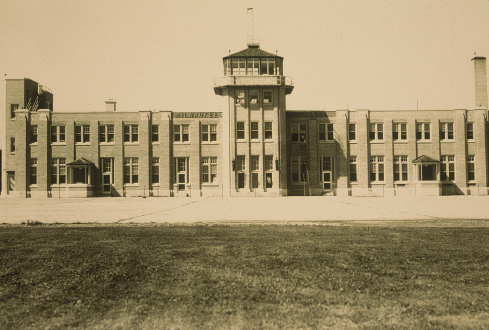 The airport’s name was changed to General Mitchell Field in 1941. The Airport changed over the last several decades as aircraft evolved, technology changed, and air travel expanded. Longer runways, larger aircraft parking areas, enhanced terminal buildings, expanded parking facilities, and numerous other improvements were undertaken to meet travel needs. In 1986 its name was changed to General Mitchell International Airport to recognize the arrival of international air service and supporting federal facilities available at the Airport. All airports must stay current with continually evolving safety and security standards, often requiring changes in the airport layout or in the way that the airfield, terminal, roads, and other facilities are operated. MKE's master plan was last updated in 2006, a time when the Airport served as an airline hub. With the end of hub operations at MKE, updates to FAA standards, regional economic development, and growing demand, the 2006 master plan must be revisited. This Master Plan Update will describe a future for MKE that maintains a safe and efficient operating environment, that incorporates technology and operational changes to improve security and enhance traveler experiences, that supports tenants and users of the Airport, and that positions MKE to support growth and economic development in Wisconsin, both regionally and state-wide.